Return of the Plain Lacewing! The Plain Lacewing (Cethosia methypsea methypsea) is a species that is listed as extant in Singapore in ButterflyCircle's checklist. 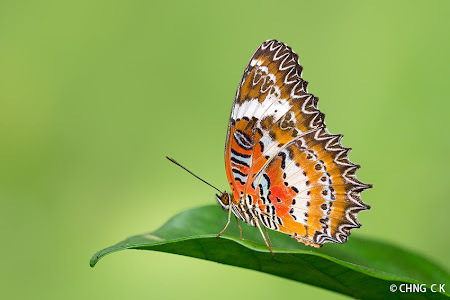 When it was first discovered in the 1990's by veteran ButterflyCircle member Steven Neo, it was recorded as a new taxon in the Singapore checklist. The first voucher specimen was documented by Steven on 29 May 1991 at the forest edge adjacent to mature nature reserves. Early references did not include this species to be extant in Singapore. After it was discovered, the species continued to be regularly seen throughout the 1990's but very localised. It did not appear to be extremely rare at that time, and on one occasion, I encountered at least 4 individuals of the Plain Lacewing, feeding together at a large Lantana bush. 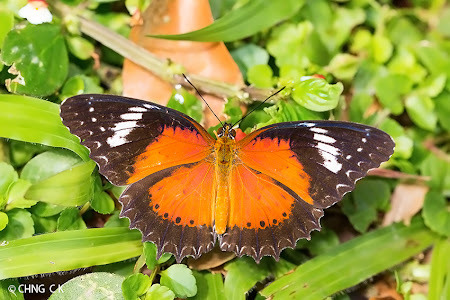 It continued to be seen but its closely related cousin, the Malay Lacewing (Cethosia hypsea hypsina) was much more common and widespread in Singapore. Until recently, when ButterflyCircle member Koh CH, encountered a Lacewing at around the same location that it was last seen 14 years ago! As suddenly as it had mysteriously disappeared 14 years ago, the Plain Lacewing is back. Over the past two weeks, more ButterflyCircle members continued to encounter the Plain Lacewing, and from the shots posted, it appears that there are at least 3 different individuals. The Plain Lacewing is very similar in appearance to the Malay Lacewing, and quite similar to the recently (in 2005) discovered Leopard Lacewing (Cethosia cyane). The Plain Lacewing can be distinguished from its lookalike cousins by the thin white submarginal band on the hindwing. The male Leopard Lacewing may also be confused with the Plain Lacewing, but the former has larger black submarginal spots and a wider white band on the hindwing, and also a very thin submarginal orange band on the underside of the forewing compared to the other two species. 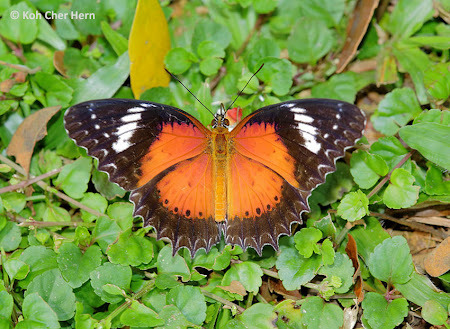 The upperside of the Plain Lacewing also appears much redder than its two cousins. 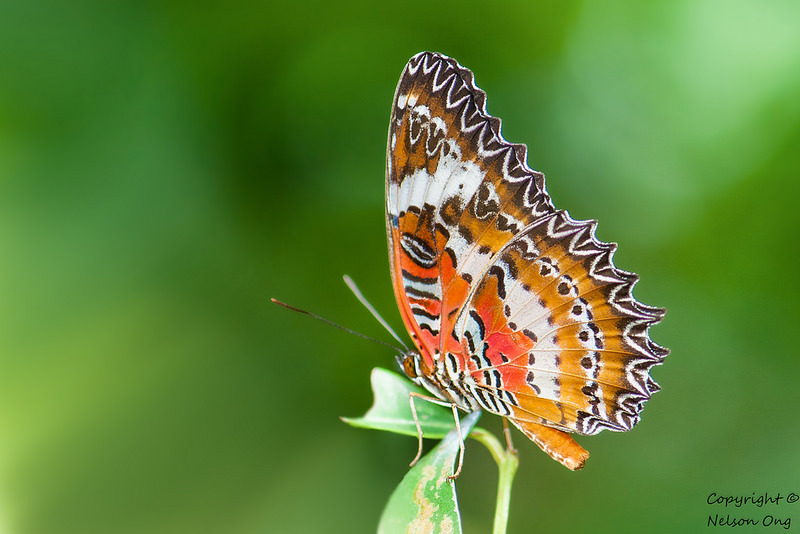 The male and female of the Plain Lacewing look alike, compared to the sexes of the Malay and Leopard Lacewings, which are distinctly different enough to be separated easily. 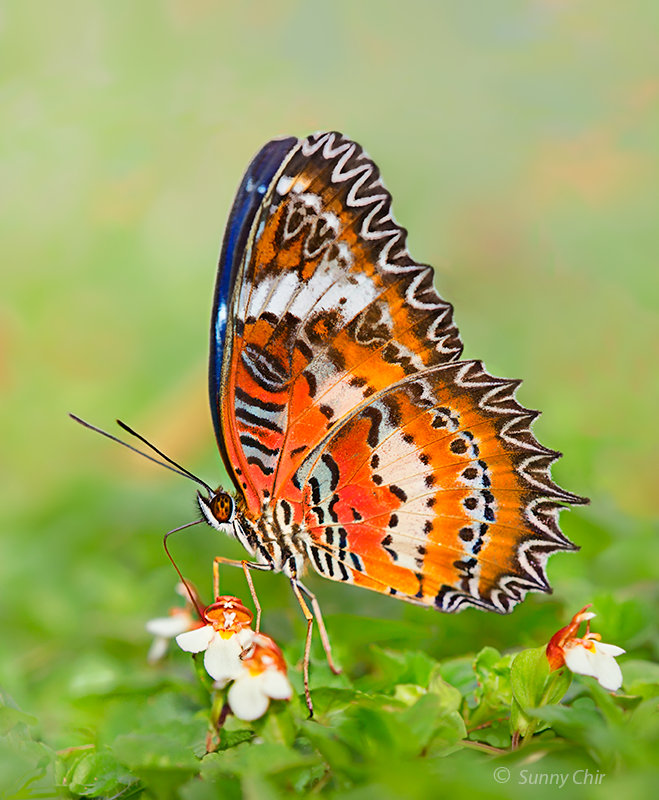 The Plain Lacewing's caterpillar host plant is very likely to belong to the Passifloraceae family. It is curious why, or how it appeared again, after 14 years, and where this current batch originated. Were they still here in Singapore all these years, but only not seen? Or are these immigrants from nearby Malaysia that has started to colonise the same localities where they were previously seen? 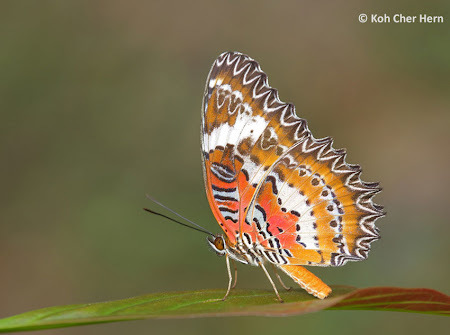 The Plain Lacewing is the more common species found in Penang where it outnumbers the Malay Lacewing by at least a 3:1 ratio when I was collecting butterflies on the island many years ago. C&P4 also mentions that the Malay Lacewing is "not uncommon..." and the Plain Lacewing is "...nearly as common in the same situations". (pp 157, C&P4). 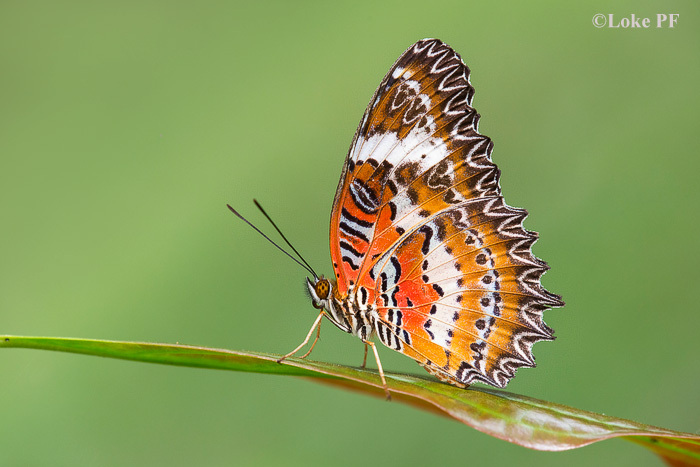 Whilst the Malay Lacewing is common in Singapore, why is the Plain Lacewing so rare, as to be classified under the status of "Critically Endangered" in the Red Data Book 2008? 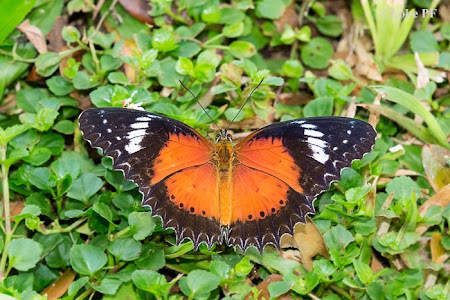 Indeed, if it had been absent in Singapore for the past 14 years, it would be considered a very rare butterfly here. What can be done to conserve this species and help it to thrive? More observations and studies, particularly of its early stages, will certainly have to be done. 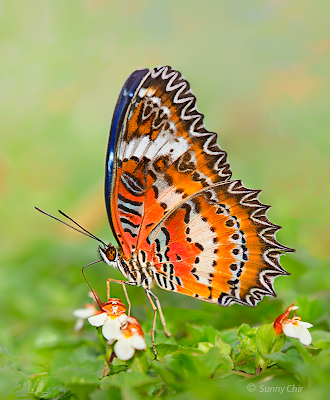 In the meantime, we hope that the Plain Lacewing will continue to stay in Singapore for a few more years to come, so that we can take it off the "critically endangered" list.